The Natural Step Canada’s Sustainability for Leaders Course - Level 2 took place in Banff AB, July 11-13 2011 at The Juniper Hotel and Bistro. Ethics Education is an increasingly important component of the pre-professional training of (geo)scientists. Funding agencies (NSF, NIH) require training of graduate students in the responsible conduct of research, employers are increasingly expecting their workers to have basic training in ethics, and the public demands the highest standards of ethical conduct by scientists. Yet, few faculty have the requisite training to effectively teach about ethics in their classes, or even informally in mentoring students working in their labs. For students, resources are provided to help expand their understanding of ethical situations that may arise in their careers, and to give them the tools they need to appropriately address these issues. What do we mean by "GeoEthics"? GeoEthics encompasses the values and professional standards required of geoscientists to responsibly work in the profession and in service to society. The training of scientists in ethics has traditionally been focused on the Responsible Conduct of Research. However, GeoEthics encompasses many more dimensions, including personal and professional behaviors as well as responsibilities to society and to stewardship of Earth. Learn more about What is "GeoEthics"
False facts are highly injurious to the progress of science, for they often long endure; but false views, if supported by some evidence, do little harm, as every one takes a salutary pleasure in proving their falseness; and when this is done, one path towards error is closed and the road to truth is often at the same time opened (Descent of Man, 1871, Volume 2, Chapter XXI, p. 385). A formal course of instruction is needed to prepare students to enter the community of practice in the geosciences. Students should have the opportunity in our classes to recognize ethical dilemmas in the first instance, to develop the strategies and skills needed to responsibly participate in the profession, and gain experience in ethical decision-making. Instructors, at all levels, should be aware of the need for ethical training in their coursework and mentoring of students, and look for opportunities to introduce those "teachable moments" to explicitly identify and address ethical issues. Learn more about Why [faculty should] Teach GeoEthics as an integral part of training of geoscientists. "Most graduate students and post-doctoral fellows currently learn research practices primarily through ad hoc, informal exposures in their individual laboratories, rather than through formal training" (NRC, 2009). Training in ethical practices in our science is too important to leave to random experiences that require ethical decision-making, and training in ethics at the graduate or post-graduate level is too late in the pre-professional training of students. We propose that a systematic curriculum that helps students identify and address ethical issues in the geosciences is needed. The tenets of "best practices" in STEM education extend to instruction in GeoEthics, primarily through use of a variety of active learning methods. There is a related need to develop appropriate assessment instruments to determine the mastery of ethical principles and ethical maturity of our students. 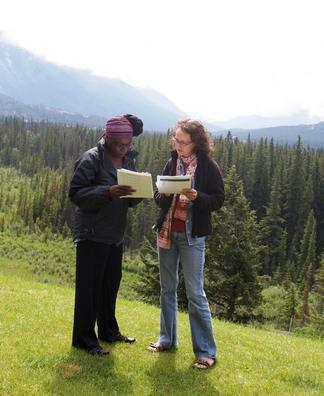 Learn more about strategies and methods on How to Teach GeoEthics. There are many opportunities to build GeoEthics training into existing courses, from the introductory level to the "core" geoscience courses for majors. Short readings, discussions, and examinations of case studies, for example, can be introduced into formal course work to explore ethical dimensions of the conduct of geoscientists at work or regarding events or phenomena that impact the welfare of society. In addition to presentation of geologic concepts, content, and activities that enhance skill development, instructors are encouraged to go a step beyond, and explicitly provide opportunities for students to engage the ethical implications and applications of topics covered in a give course. Some departments are even formulating a dedicated GeoEthics course, commonly as a capstone course for geoscience majors. Evidence of students' mastery of ethical principles, and their ability to apply these principles to ethical challenges they may encounter in their careers, may be demonstrated using a variety of assessment techniques. It is often the case that there is not a singular right or wrong answer; rather, the students' demonstrations of the process of ethical decision-making may be more important. The 2014 Teaching GeoEthics workshop participants provided some practical advice and methods on Assessment of Student Learning Outcomes in Ethical Training. GeoEthics and Self: How can we best prepare students to develop self-monitoring and self-regulating behaviors such that they will be able to recognize ethical issues when they arise, and have the tools to engage ethical decision-making practices? Responsible Conduct of Research, which includes Data and Data Management, Mistakes and Negligence, Research Misconduct, Laboratory Safety, Authorship, Plagiarism, Falsification or Fabrication of Data and much more. GeoEthics and Society: The work of geoscientists commonly has a great impact on society, particularly in the areas of geohazards, resource development, and environmental issues (both anthropogenic and natural). GeoEthics and the Earth System: Geoscientists are in a unique position to interpret the dynamic, heterogeneous and complex Earth System. What is the responsibility of geoscientists to address questions of sustainability? What principles guide choices we make related to environmental ethics? How can we reconcile issues when societal needs/values come in conflict with environmental ethics and values? Resources To Support Teaching GeoEthics: You don't have to start with a clean slate. Take a look at these websites, reports, articles and other resources to get you started. Browse the GeoEthics Case Study Collection, contributed by participants of the 2014 Teaching GeoEthics workshop. The On the Cutting Edge and InTeGrate projects have developed a substantial body of peer-reviewed teaching activities that address a wide range of ethical issues. Browse this compilation of activities and modules that can be used as an entree to further explorations of ethical issues in the geosciences. Contribute a Course Description for a course with a major component on geoethics. Contribute a Resource: journal articles, news articles, books, teaching activities. Join our email list: Share insights, ask questions, or network with other faculty. The link will also provide access for list members to the email list archives and allow you to unsubscribe. This workshop is funded through the National Science Foundation Ethics Education in Science and Engineering (EESE) program, grant number NSF 1338741. This workshop is also co-sponsored by the On the Cutting Edge program for geoscience faculty development (NSF TUES Phase III), and the InTeGrate - Interdisciplinary Teaching of Geoscience for a Sustainable Future program (NSF-STEP).